The Bagh Caves are the most exquisite form of architecture that is present in the central state of Madhya Pradesh in India. 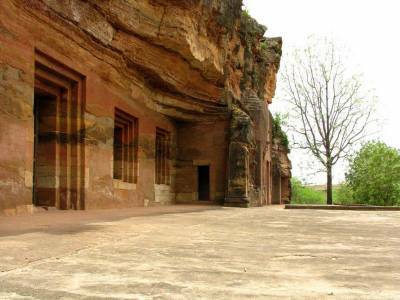 The Bagh Caves are present in the block mountain range of the Vindhyas in the Dhar disctrict of the state. 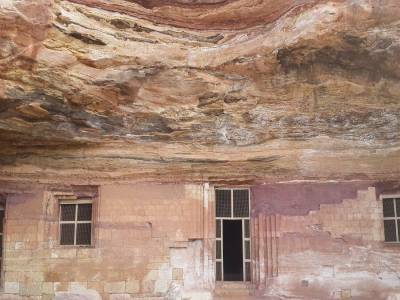 The exact location of the Bagh Caves is about 100 KM away from the main town of Dhar. The Bagh Caves are located by the bank of the Baghini River and hence is the naming. There are many stories about the Bagh Caves. Some say that the ancient man had drawn murals on its walls. But according to archeological survey, it has been proved that the Bagh Caves were created sometime in between the years of 4th century CE and 6th century CE. Legend has it that a certain Buddhist monk named Dataka excavated these caves. The existence of so many legends is because of the misnomer caves. 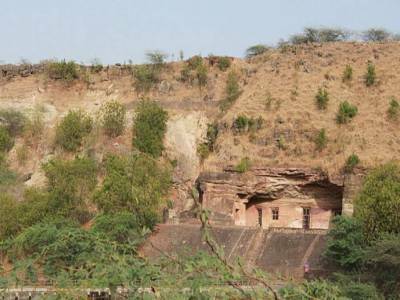 The Bagh Caves are not natural caves with engravings & murals but artificially excavated caves built by the Satvahanas. The Bagh Caves have a total number of nine caves of which 4 are extinct and five are extant. 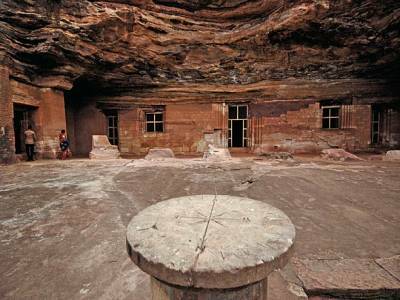 All of the caves are cemetery for Buddhist monks and there is a small central prayer hall. The Bagh Caves is the epitome of India’s golden age of architecture and that too of rock cut style. Like the Ajanta caves the Bagh Caves murals are also very magnificent and historically important. Of all the caves only cave 4 and a bit of cave 3 is still intact. The Bagh Caves stands as the witness to artistic greatness of Indian civilization. 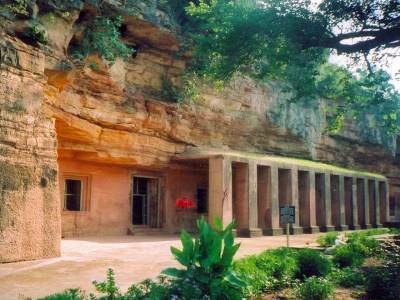 Get quick answers from travelers who visit to Bagh Caves.